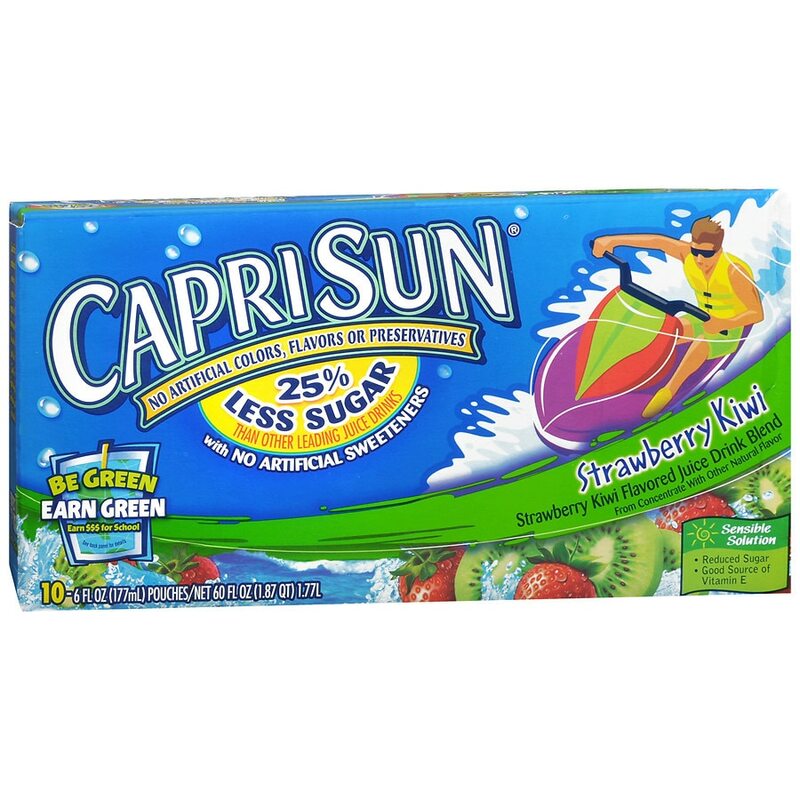 This product has 25% less sugar than leading regular juice drinks and no artificial colors, flavors or preservatives. From concentrate with other natural flavor. 15% less packaging than original box. Fridge ready pack. Contains 10% juice. CAPRI SUN CONTAINS NO PRESERVATIVES. DO NOT DRINK IF POUCH IS LEAKING, DAMAGED, OR SWOLLEN AS FERMENTATION CAN OCCUR..